How to increase the value of your brand? Let’s be honest, if you do not improve the image of your brand, your customers will not perceive it in an attractive way. Not only must you take into account the work well done, the quality and price, but also the image you offer of your brand, because this is directly related to your company’s quality, culture, product or service. Because it might be that less experienced competitors, and why not saying it? competitors that are not as good as you, can be taking advantage of a more modern, clear image, aligned with the ideas and needs of your clients; could mean that their brand is more developed than yours and they are capturing a larger number of customers simply because of that. You cannot allow the image of your brand to be just that link you use when capturing new leads; you also cannot allow that they run from you by not being convinced by the image you project. These are new times for branding and your company needs to be up to date and ready, but how? The most important thing in this matter – or at least one of the most important ones – is to know where your own company is positioned in order to progress in the brand’s improvement. You must be objective, honest and partial in order to make a real criticism. Think why customers do not choose you, what the competition may have that you do not have and how you can change this. These concepts should be your starting point. If you want to know how to improve your company’s brand image, the first thing to do is to focus on finding out what the values ​​and needs of your target audience are. Don’t forget your product values but try to take more into account the consumer’s sentimental point of view. Think about how you can attract customers that are interesting to you and of course, think about who your target audience is. Communicating the values ​​of your company in regards of its image is fundamental. Have a clear marketing vision in relation to your website, your social networks, your blog, your emails, your newsletter or newsletters … build an attractive corporate image. Tools to improve the image of your company. Nuvi. With this tool, you will be able to see all the conversations as they occur, integrating all your social networks like Facebook, Twitter, Instagram, Youtube and Linkedin with access to personalized reports. Websitegrader. Interesting tool that is useful to analyze the marketing actions effectiveness in your web. It takes into account concepts like SEO, traffic, its popularity … ideal for monitoring the image of your brand. Google Trends. Google offers you many applications for free and this is one that you cannot let go. Besides, Google Trends identifies hot searches that occur in your country. Unbounce: Your website landing page is essential to your image. With this tool you can design two webpages using similar landing templates and decide which works better for you. You can also know the results of your campaigns, through its instruments for results analysis. JPEGmini. The images you choose are very important for your brand positioning in order to make it more visible. With this option you can reduce your photos, without affecting its original graphics and quality, reducing in this way the loading time of your website. Qualaroo. Do your own market research from your website with this tool that helps you to elaborate mini surveys in order to know your customers, their needs, and what they want in a more effective way. Later Bro. With this one you have the possibility to create promotional messages for determined times that will be published just when you want. Google. Do not underestimate the power of Google Maps reviews and the interactions you can get with Google Plus. Branding is the integral strategy that defines a brand through the intelligent and active management of all the differentiating elements that compose it. Is added to what the name or logo does in order to maximize intangible values ​​and qualities that differentiate it from the competition. All this helps you to position the brand within its market and the consumer’s mind. Branding increases a brand’s value and its brand philosophy can generate such a strong empathy in the lifestyle or experience that transforms potential customers into what is called brand lovers or brand ambassadors. 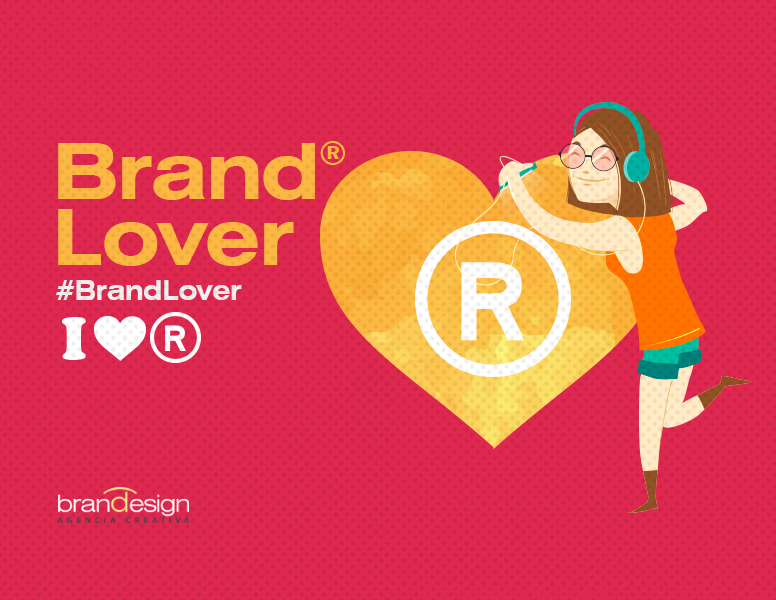 Brand lovers are people who have developed an emotional bond with a particular brand and are identified with its culture. The relationship of a brand lover with a brand goes far beyond of buying its products. Brand lovers are like fans of a football team, they will speak well about our brand, recommend our products to their friends and share everything related to it in their social networks. If we make someone to become a brand lover of our brand, we will have the best ambassador possible. For any company, brand lovers importance is very high because the comments they make either supporting or recommending our brand and products are useful to increase the diffusion and visibility of our business. On the other hand, brand lovers will also help us to increase our reputation and corporate image. What are the means to create and improve the interactions between brands and their brand lovers? Choosing the right communication channels to interact with brand lovers is fundamental to maintain their loyalty towards the brand. Here we detail some of these communication channels. Web design. A website with a modern and attractive design that is informative, intuitive and easy to use is a great way to interact with our customers. Social Networks. Nowadays, social networks are fundamental for enterprises. Not only to advertise our products, but also to communicate with our customers. Establishing personal relationships with brand lovers, answering their questions or simply thanking a positive comment they have made, will increase their satisfaction. Packaging. A careful and attractive packaging will attract new customers and serves as a communication window for the consumer. The way we present a product, how we sell it, its packaging and the way we deliver it is just as important as the product itself. Newsletters. Emailed newsletters are another great way to communicate with our customers and brand lovers. We must ensure that these emails transmit something valuable for the client; creativity and imagination must be our hallmark. Give a good first impression. A careful and clean design of our logo, our products or our website will attract more customers. Maintain a loyalty strategy over time. Study your clients very well, give importance to their birthday, find what are the basic needs through which they come to you, how they do it, and how and who recommends you. Create an ATL or BTL communication strategy to make them know they have your brand’s support, from pre-sale to post –sale service. Make them feel special, different and part of something bigger than just one product. Generate quality content. Any post or advertisement that we make through social networks or any other channel must be of quality and add value to our customers. Share values ​​with customers. Brand values ​​must be communicated in order to connect with customers. To serve the customer well. Both the pre-sale and post-sales services must be of good quality. Be accessible. We must facilitate our clients the possibility of contacting us by telephone, email or chat. CRM. Customer Relationship Management systems are a set of tools that allow us to gather information about our consumers. Doing this we will be able to design customized, creative and attractive contents. Using these tools we will improve our customer’s experience and our interaction with them. Strategy in social networks. A good, useful and attractive strategy in social networks that mixes both advertising and information content about our business sector is fundamental to interact with our customers. At this point, to have a good Community Manager is essential to convey our company’s values ​​ in every message and make each of these messages easily shareable. Blogs. Creating a blog is another perfect way to communicate with our customers. Having an editor who knows how to create interesting content and fit our customers profile is another tool that has a lot of potential. In our blog we can talk not only about our products, but how we can use them or encourage our consumers to talk about their experiences. In Brandesign we design labels, containers, boxes, cases and packaging with a creative sense, with technical knowledge and with Branding values ​​to make you stand out from the first moment: there, in the shelf at the point of sale (retail) or from the Web. The SPAIN BRAND opportunity after the Brexit. You say goodbye, we say hello. After the refusal of the United Kingdom to remain in the European Union, the Brexit, a very different picture from the actual is taking place for the current markets. This exit from the common market brings many changes in terms of the relations between people living in the old continent: the people’s movement will no longer be free between EU countries and London, with all that this implies. But also companies and brands will have to rethink their strategies to make Europe a market without the United Kingdom. It’s the opportunity now to strengthen the Spain Brand and all the Made in Spain products. With the changes that will arise, it is necessary to consider strategies that help position the country on the starting line to conquer the spaces that the UK is leaving free. The Fintexit: the opportunity of Spanish entrepreneurs. From 2010 to 2015, England had become a paradise for Fintech companies: while those located in that country managed investments with a value of 5400 Million dollars, those located in the rest of Europe remained in 4400 million dollars. This only fact let us know the importance that England has for this kind of companies. – Brands from outside the EU who chose England to settle allowing them to enter the single market in optimal conditions, should reconsider their options. 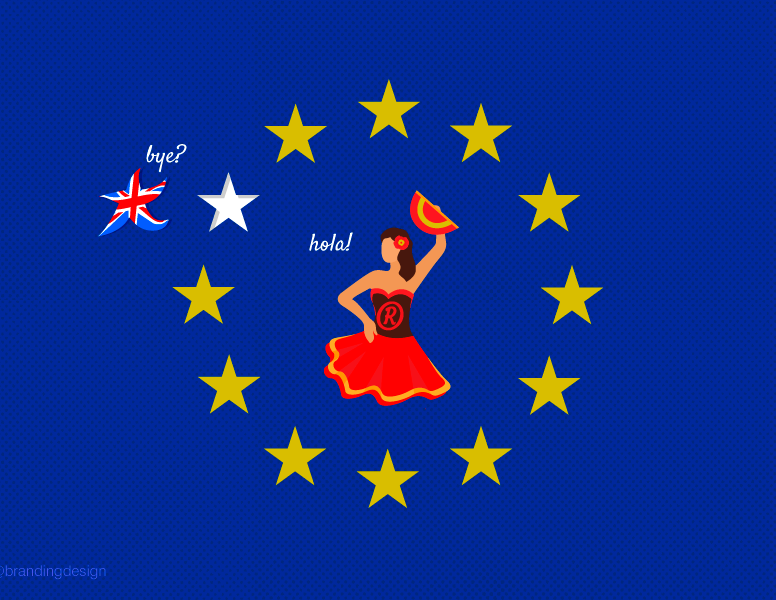 With the exit of this country from the EU, its conditions would change, so the new companies would not take England into account as an option to enter Europe. – The top corporation’s escape from London. Many multinationals that were established in the country have already announced that at least part of their activities would be transferred to the rest of the continent, making England’s business figures decline significantly. The question now is to know the fate of these companies and brands. Other European countries, including France, Germany, Holland, Spain and Luxembourg are conducting attraction plans both for large companies and brands that are starting and the startups. What is clear is that the country that becomes England’s heir at this point, will achieve not only investment’s growth but attracting talent, and the option to become the Silicon Valley on the other side of the ocean. This is where Spanish innovators have their chance to support the country so that it becomes a place where investments grow and also where new companies can stablish in order to portend a more favorable outlook for innovation projects. Gone are the times in which in order to create a successful company this had to be settled in London. Moreover, in 2013 El Mundo newspaper published a story about the creation of the London Creative Circle, an initiative of Spanish entrepreneurs. 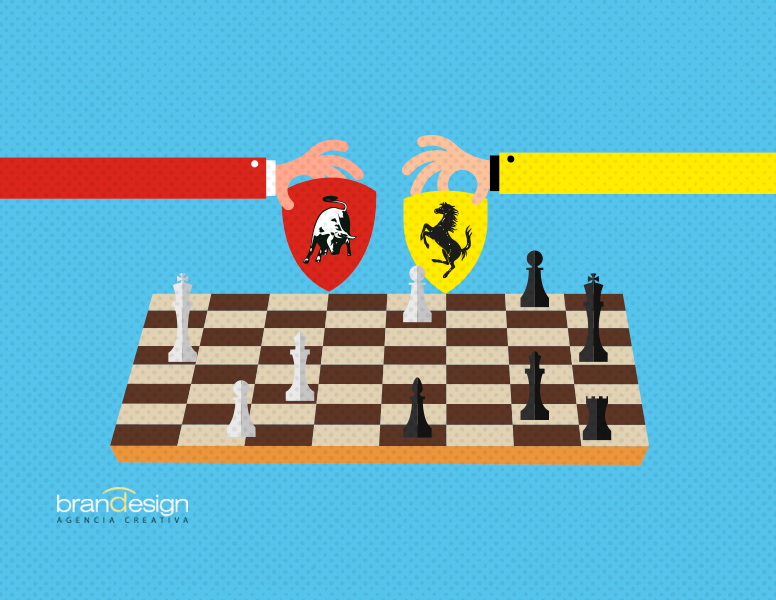 The things have changed now, and it is time for Spanish brands to place a bet in order to grow in a foreign country where no longer exist the same game rules as a few months ago. It is also time to seek new business models that allow them to grow in a different panorama. The companies already established in the English-speaking country, or those who consider that their market is there, must focus on a common branding that allow them to distinguish themselves. But that Made in Spain brand will have to bet on innovation and creativity especially to fight against other startups from other countries. While others will bet on lowering prices to maintain the consumption of their products, experts will bet for the development of strategies to build the identification of common values of a Spanish brand with the values of the English consumer. Here, the door of creativity upon the possibilities for Spanish brands will be opened: and the fact is, that Made in Spain creativity is highly valued, serving as an example the broad implementation of the Spanish fashion not only in England, but throughout the world. Creativity, Quality and being different from the competitors should be the hallmarks of the Spanish brands. They should know how to offer an additional quality point to their customers to succeed in foreign countries, because the reduction of the prices will not be an option in such a highly competitive market that is thought will be created. Therefore, the Spanish brands shouldn’t think about the Brexit as an obstacle but as an opportunity to succeed in foreign markets. There will be risks and is important to know how to calculate them in an accurate way, but facing the emergence of this new market, there are no previous experiences that can help to check them. For sure, offering good quality and great creativity, will be undoubtedly a synonymous of success. Brandesign – Creative Agency, Branding and Digital Strategy. We bring branding strategies to your brand. Color, what an easy subject, isn’t it? Maybe the first we learn when we begin with the school. So many people will remember things they painted and filled with color to then look in the home fridge. However, years later the signature returns in the design career, but in this occasion with another character totally different, recognize the cognitive and sensorial values which represent the colors. How they make us feel and how brands (globals and locals) invest amounts of money to ensure that their color is unique on their market or in the entire world. Color is the first visual value to study the strategy of Brand Equity. And not only for the single distinction to recognize which product you usually buy (First point: ID) or multiple experiences that color can bring you (Second Point: Values). Color is the first thing that our mind shape when we mention a brand or product; the 1st data of information to read, our intellect or thought thinks firstly about the color and then in nano-seconds the figures appears (graphics or contours) of the logo and letters which form the name. When I was preparing for managing brand diapers “Pampers” asked us to study multiple product identification stories looking for those special cases where you have to guide buyers to quickly identify the product in store only giving the minimum keys. One of my favorites was the practice of listening as a woman asked her husband to pass by the pharmacy or convenience store to look for a specific product, we had to be guided by phone and could only give 2 data … ((and as nowadays one brand may contain as many colors as varied is its family of products, made it even more difficult). A color can lead you to an emotional or rational mood in a flash. That’s a fact, (you can ask it to Enzo Ferrari). Colors lead to emotional and behavior moods; can motivate you to participate, to buy, to consume or simply value something in a scale of a percentage of quality. I am not going to talk about how Canadians learnt that painting their jails in pink, calmed their prisoners, I talk about that brands just like McDonald’s has posed a change so rotund in its strategy about the color (from red to green) to point to a European market with more environmental awareness and with this measure is achieving its goals better (that European consumers value more its restaurant’s as an option to eat healthy and responsible with the environment), that has spent all the money on information campaigns about the origin of the hamburger’s meat. Just a color change has achieved more advances on its European market than previous crossmedia campaigns that have had sown awareness. 92% believes that the color gives value to a product. 90% feels that the color attracted them in a positive way. 90% reminds the color immediately. 83% believes that the color makes them more successful. 81% value the color as a competitive differential. A color can shape emotions, invoke you a memory to make you feel a smell or taste. Color can make your customers, consumers or users react actively or passively. On display campaigns (banners) color on a button can encourage your answer or registration. It can help to build a value, y something almost every low cost/basic line” products are supported in the combination. But “yellow+red” and the “Premium/top line” use the garnet/violet/gold. To support its communication. But these are mere clichés. The strategy of colors is deeper, it has to be logical and universal, and in many, many occasions they are given by your own consumers. It is a social factor. 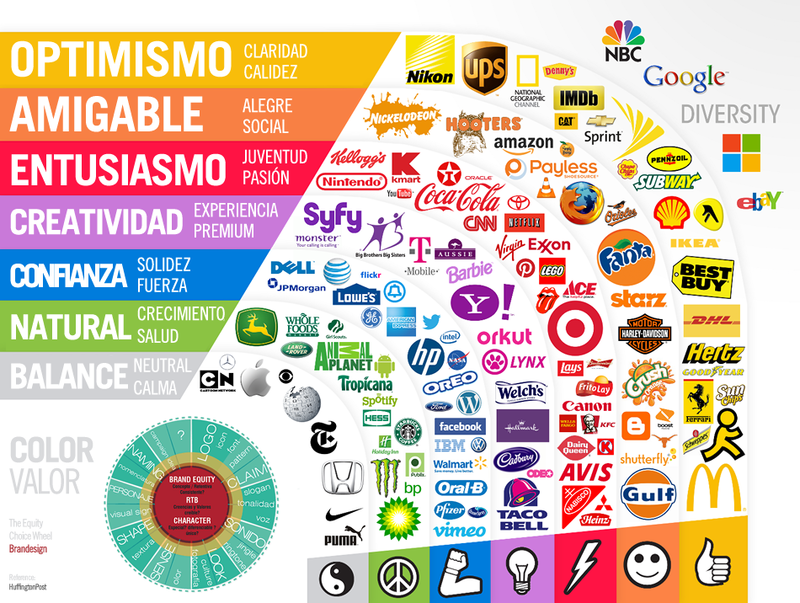 ¿which is your brand favorite color?// which brand do you think it does not match its color? Or, which color will you dress in order to assist to your next work interview? On the occasion of our entry about how color powerfully influences the factor of purchase we leave this short explanatory video of Dr. Rajesh Bagchi, Professor of marketing in the Pamplin College of Business at the University of North Virginia (US).<br> <br>The Full article is available here. In the study that were observed as some buyers were willing to pay more for a “premium” propducto with a blue background instead of red. Only by changing chromatic value, without altering any other element in the packaging.